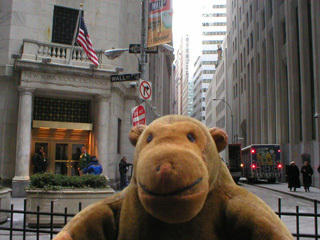 "Well, I assumed it was deliberate"
Mr Monkey looked at the door to the New York Stock Exchange. He wondered about going in to thank them for the excellent exchange rate, but, seeing the number of security people, decided against it. 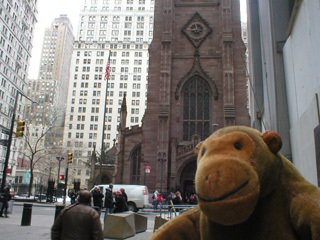 When he got to the end of Wall Street, he decided to pop across the road and visit Trinity Church.